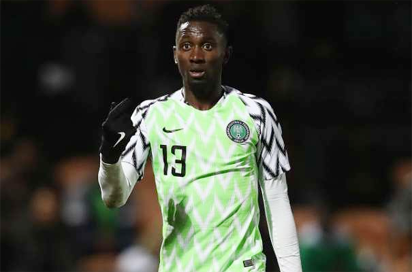 Super Eagles coach Gernot Rohr has confirmed that recuperating Leicester City Midfield engine room Wilfred Ndidi who has been injured for some weeks and did not feature against England at Wembley is now fit to play and will be starting against The Czech Republic on Wednesday. Wilfred Ndidi suffered a hamstring injury in Leicester City’s Premier League match against Crystal Palace on April 28, the injury made him miss the remainder of the 2017/2018 season. The midfielder also missed Nigeria’s friendlies against Congo DR and England. However, the Franco-German Super Eagles coach Gernot Rohr has said that Ndidi is fit to play again and will now start against the Czech Republic on Wednesday in a final warm-up game leading up to the World Cup in Russia. “We need but we have an agreement with Leicester City and (the England game) was not the time for him to return (to action). “We followed exactly the programme Leicester gave us”.